The luminaries of film and television celebrated 2005's finest performances on Sunday, January 29, 2006 in ceremonies telecast for the first time simultaneously on two networks, TNT and TBS.  The live simulcast from the Los Angeles Shrine Exposition Center brought the 12th Annual Screen Actors Guild Awards® its highest ratings ever on TNT. Just as the Screen Actors Guild Awards celebrates performances conveyed through a moving image, the 12th Annual SAG Awards' production design and decor paid tribute to the cinematic arts. Topped by a projecting canopy of light, the translucent architectural space of the this year's stage conveyed movement through fountains of water and changing color. Larger-than-life Actor statues seemed to float above reflecting pools in homage to the display of statuary in the world's arts institutions, public spaces and water gardens. In one of the events most emotional moments, a long and heartfelt standing ovation greeted SAG's 42nd Life Achievement Award recipient Shirley Temple Black, who was presented Screen Actors Guild's highest honor by Jamie Lee Curtis, following a filmed tribute introduced by Dakota Fanning. A cinematic salute to SAG members who perform in commercials, introduced by William Shatner, continued the SAG Awards tradition of spotlighting the Guild's diverse acting talent. For the tenth consecutive year PEOPLE Magazine and the Entertainment Industry Foundation (EIF) celebrated actors' work both on and off the screen by hosting the official SAG Awards Gala. The tented back lot of the Shrine Exposition Center was transformed into a chic white ballroom with sleek black detailing, punctuated by dramatic arragements of calla lilies and fragrant gardenias, where partygoers danced, mingled and lingered late into the evening.